Um. 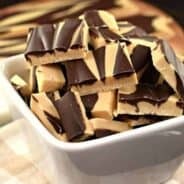 Do you know how long it’s been since I shared a new fudge recipe? FEBRUARY. I’m so ashamed. 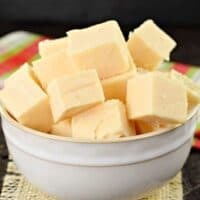 I’ve been dubbed the “queen of fudge” by many of my friends and family, yet I haven’t created a new recipe for nearly 9 months. My apologies, friends, for letting my skills for how to make fudge lapse! 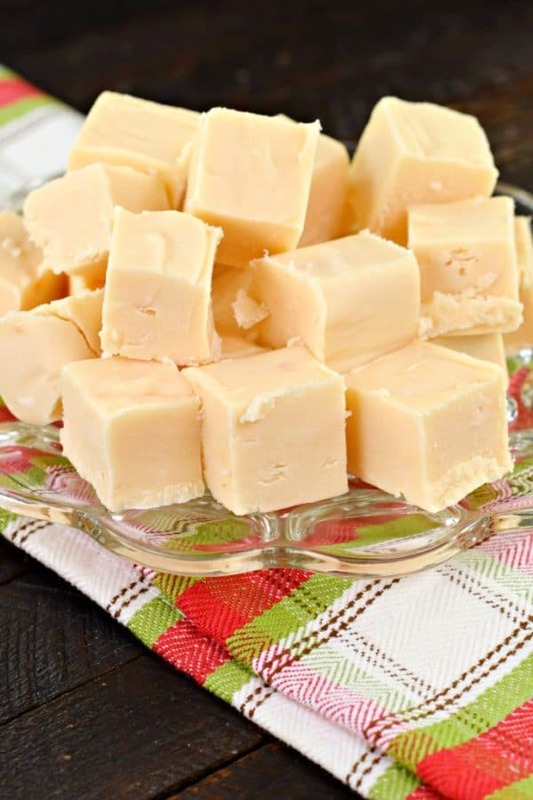 If it’s any consolation, today’s recipe for Butter Rum Fudge was worth the wait. This one melts in your mouth. And if someone doesn’t tell you the flavor, you’re left wondering what that creamy, buttery taste might be! Growing up, I loved those Brach’s Royals (filled caramels), and my favorite flavor was the Butter Rum. Does anyone remember these? (true story, while I was typing this out, I just ordered a 3 lb bag on Amazon. Had no idea they still existed)! Don’t worry though, there’s no actual alcohol in this fudge, so even the kids can have a few pieces, if you’re willing to share, that is! First, have all your ingredients ready. I like to put the white chocolate morsels, the butterscotch morsels, the rum extract, and the marshmallow fluff in the mixing bowl before beginning. Once you bring your sugar and butter to a boil, allow it to continue to boil for a full 5 minutes. Immediately remove from heat and pour over the ingredients in the mixing bowl. Beat on low just until all the morsels are melted and blended. Pour into your prepared baking dish. Refrigerate for about 2 hours (or more!) until the fudge has set up properly. For freshest fudge, once it’s set up remove from fridge and place in a ziploc bag. Only cut pieces as you need them. Store at room temperature. ENJOY. What holiday treats are on YOUR baking list this year? I’ve got some goodies coming soon, so make sure you sign up for my email subscription. It’s free and you’ll receive a new email with each new recipe I post! Gingerbread Fudge. 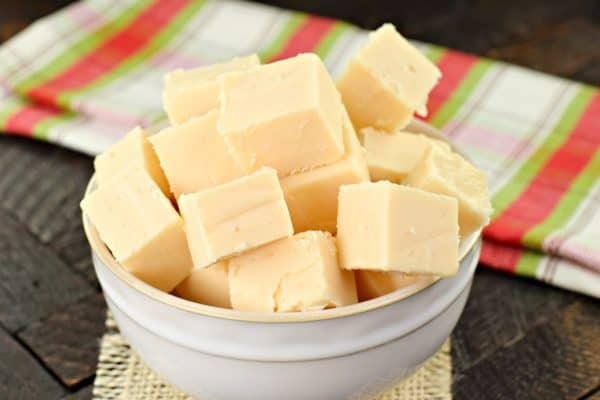 You’ll love the simplicity of this tasty fudge, without the hassle of rolling out cookie dough! Hot Buttered Rum Cocktail from Barefeet in the kitchen. Sweet and festive with holiday spices! Did someone say boozy fudge? Thank goodness Lisa from Wine&Glue made this Bailey’s Fudge. Perfect way to survive the holidays! 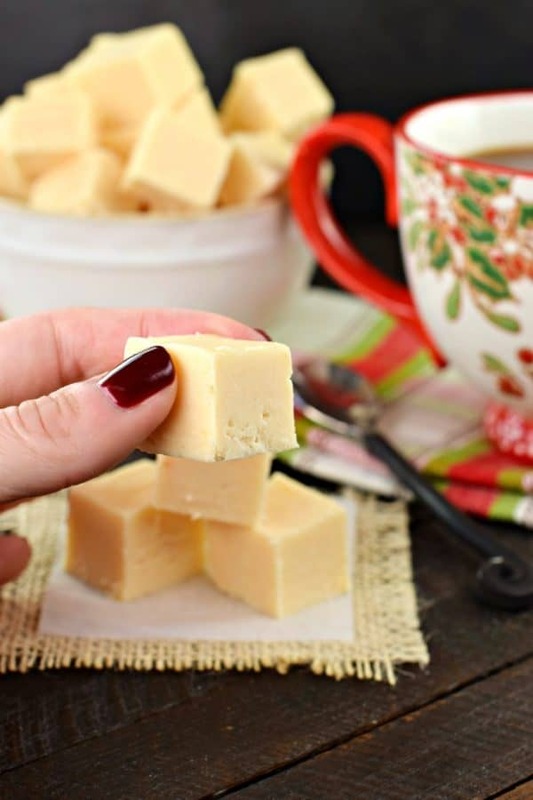 I’ve got a Cinnamon Fudge recipe that tastes so good, you won’t want to share! Haystacks from She Wears Many Hats are one of my favorite winter cookies. I don’t know why, but growing up my mom only made these during the holidays! Prepare an 8-inch square baking dish by lining it with parchment paper. Set aside. Add white chocolate morsels, butterscotch morsels, rum extract, and marshmallow cream to a large mixing bowl. Set aside. In a large, heavy saucepan, add butter, cream, sugar and salt. Bring to a boil over medium high heat, stirring frequently. Once boiling, continue to boil for a full 5 minutes, stirring constantly. Remove from heat and pour over white chocolate mixture. Using an electric mixer, blend for about one minute, until morsels are melted and mixture is smooth. Pour mixture into prepared baking dish and refrigerate for two hours (or overnight), covered with a piece of plastic wrap. Once set, cut into bite sized pieces and store in an airtight container at room temperature for two weeks. For freshest fudge, only cut as needed, keeping the large chunk of fudge in a ziploc bag until ready to eat. I LOVE butter rum, so this sounds like the best fudge flavor ever! I don’t like rum but I *love* butter rum as a baked good flavor. This fudge looks fantastic! I definitely need this fudge in my life!!! Yum!!! 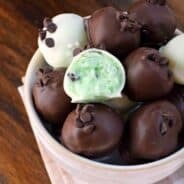 Can I use my stand mixer or should it be a hand mixer? I’ve seen some fudge recipes make a distinction before. I usually use my stand mixer for fudge. Can you substitute mini marshmallows for the fluff? How much butter and sugar? This is the best! Everyone that has tried it loved it! can i use dark rum instead of rum flavoring? Rum flavoring is more concentrated than dark rum, so while you can use it, it won’t have the same flavor. I remember those candy’s too! They were in an assortment that we got and I dug out the butter rum flavor or myself! All of them! Now I’m a big girl and the rum caught my attention and even though there isn’t alcohol in them I definitely know that I’m going to love these. They’re a great holiday gift idea too! 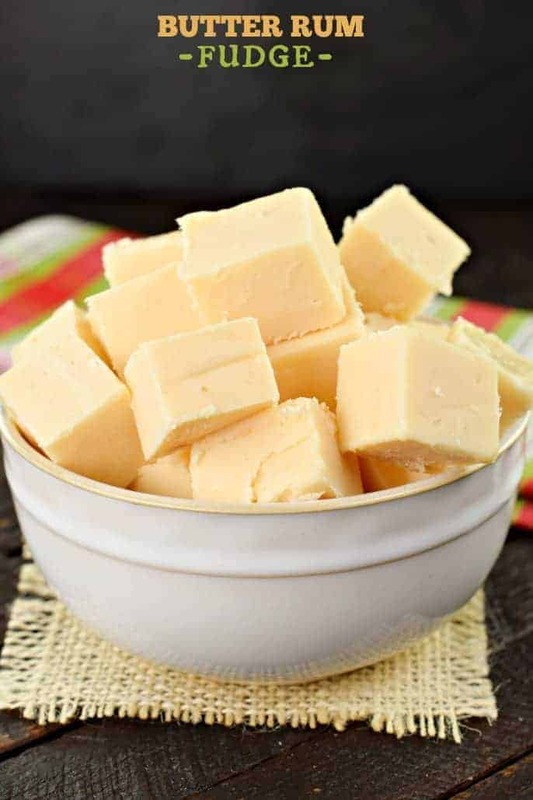 This butter rum fudge is my kind of sweet treat! 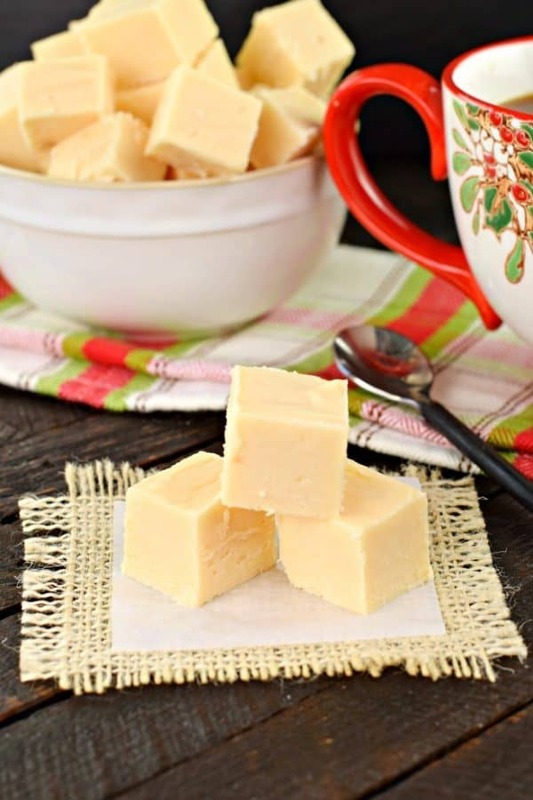 This fudge is so rich and delicious – one of my all time favorites! Oh my! I have never tried this flavor but it looks irresistible! Such an awesome idea for fudge! I love it! Looks delicious! Perfect for the holidays! I’ve never tried this flavor! Sounds delicious! My boyfriend is very opposed to having any kind of marshmallow in fudge. This recipe sounds so good though. Could it work without the marshmallow? I have never made fudge in life. I always thought it was too hard to make. This year I thought I would try.! 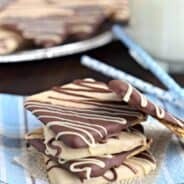 I Made this recipe and changed the 7 oz Creme to 3 1/2 cups of mini marshmallows. Omg this is the best flavour and so easy! The recipe was right on, congrats! I will be making fudge all the time now. First time making fudge. I tried your recipe and it turned out great. Can’t wait to try some of the others. Thanks so much.